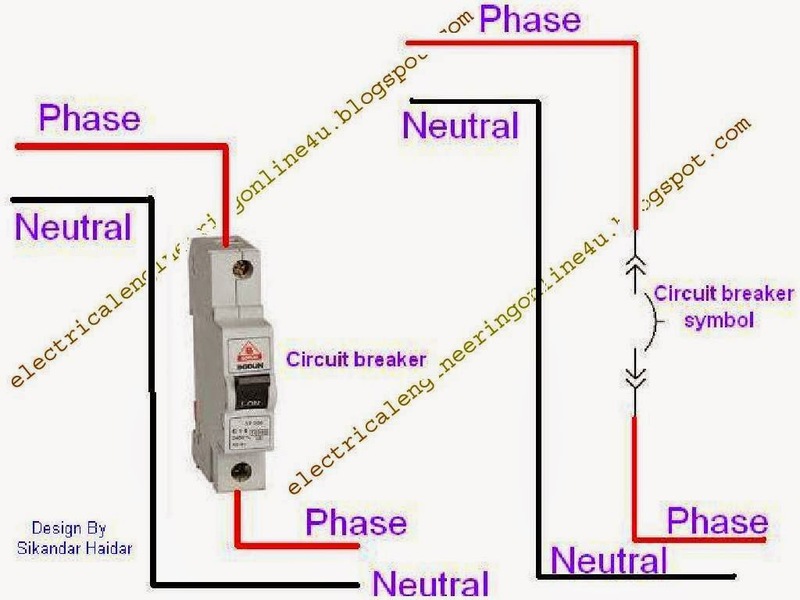 Circuit Breaker use in electric wiring is very important and in every places we use circuit breaker for safety / for switching. Today this post about wiring of a circuit breaker. In this article you will completely learn that how can you wire a breaker with diagram and i hope after that you will be able to wire a C breaker. First of all switch off the main supply breaker or cut you incoming supply, if your incoming supply don't have cut off breaker then, first connect the out going supply wire to breaker and then connect the incoming supply to the breaker, by using this method you can easily and safely connect your out going supply wire. However for better explanation i make a image + diagram in which i shown a circuit breaker with incoming supply and out going supply. The below image / diagram will help you to learn clearly. In about image + diagram i shown that how to wire a one way circuit breaker on left side and on right side i shown with symbol diagram. In above diagram the up side neutral and phase is incoming supply and down wire is out going supply. Other words we connect the circuit breaker in series between the phase wire. I hope this is good explanation for electrical students. If you learn some thing from this blog then it is you kindness to share with your friends and advance thanks for sharing.